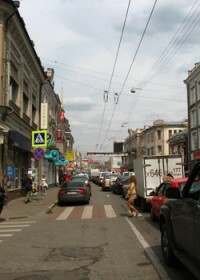 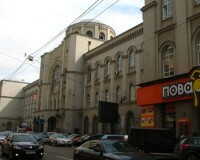 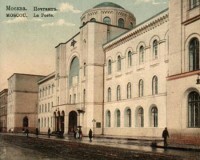 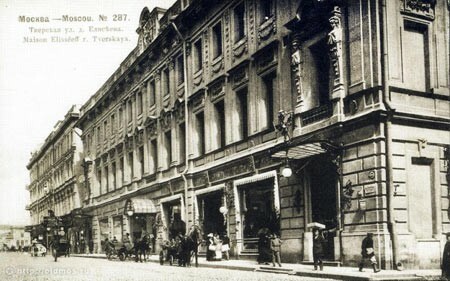 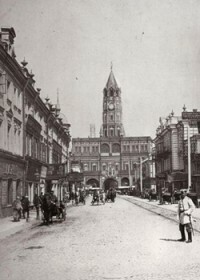 Both in the old and new photo you can see Eliseevsky grocery store located on Tverskaya street. 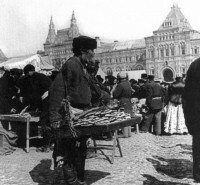 There is only one difference, a century which separates them. 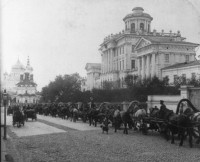 Not only the photo quality gives evidence of it but mostly the carriages and cars,the indicators of time. 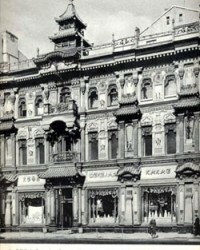 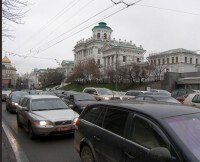 The store got the name of its founder, a tradesman Grigory Eliseev. 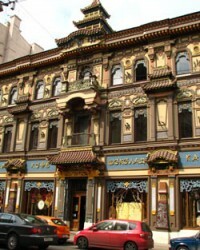 He made his store famous for impeccable service, a wide range of goods and luxurious decor of the "palace of gluttony". 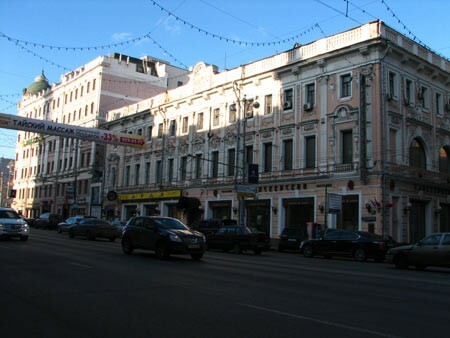 In Soviet period of time it was nationalized and got know as "Gastronom №1" though preserving its original name by old residents. 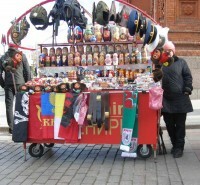 Fortunately, this store still exists. 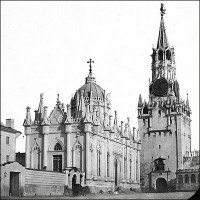 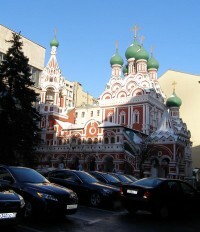 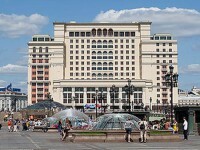 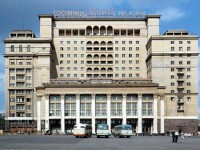 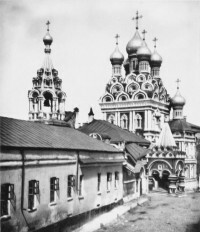 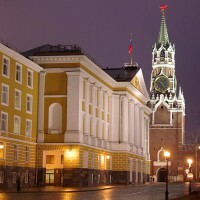 You can include it in your sightseeing tour with your Moscow tour guide.